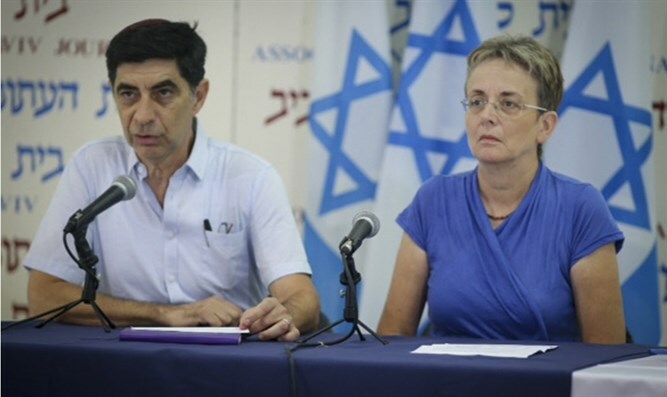 Hadar Goldin's parents react to resignation of Netanyahu's coordinator for captives and missing persons: Resignation is not surprising. Lior Lotan, the Prime Minister's coordinator for captives and missing persons, on Thursday decided to step down after three years in which he voluntarily held the position. Lotan explained that the job was very demanding on the professional and human level and therefore it would be appropriate to appoint a new person to the role once every few years. The family of Hadar Goldin, whose body has been held by Hamas terrorists in Gaza since the 2014 Operation Protective Edge, said they felt they had been abandoned by the government as a result of Lotan's stepping down. "We would like to thank Lior Lotan for the hard work he has done voluntarily over the past three years. Following Lior's resignation, we feel that we have been abandoned by the government. Lotan's resignation is not surprising, given recent events," the family said. "Behind the words 'the government is doing everything to bring back Hadar and Oron' is a sad reality in which nothing has been done to bring the boys back," added the Goldin family. Hadar's parents, Simcha and Leah Goldin, demanded that Prime Minister Binyamin Netanyahu and Defense Minister Avigdor Liberman immediately appoint a replacement for Lotan, implement cabinet decisions which were adopted last January with the goal of exerting pressure on Hamas and do everything in their power to bring back both Hadar and Oron Shaul, whose body has also been held by Hamas since 2014. Earlier on Thursday, in announcing his resignation, Lotan said, "The deep acquaintance with the families of the POWs and MIAs and the right to serve the fateful task for them - bringing their sons home - has left me with a deep impression and a constant commitment to them. In my role, I was also exposed to the cruelty and cynicism with which Hamas acts on the issue of POWs and MIAs. That's why we worked to raise awareness of this in the international community." Lotan told Netanyahu, "Thank you for the trust you placed in me, for guiding the issue and for the right to serve the state and the people." Netanyahu instructed his military secretary, Brigadier General Eliezer Toledano, to coordinate the subject of the POWs and MIAs for the time being.